Source control systems like GIT/SVN. Adobe Experience Manager (AEM) 6+. An employee discount on products purchased from de Bijenkorf. These 'Corporate Values' form an important part in every job interview for all the job vacancies within our organization. 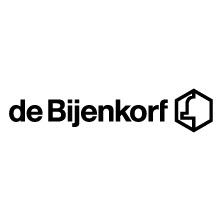 What de Bijenkorf offers Working at the Bijenkorf, is working in ‘a world of inspiration’ with an exclusive assortment, unique concepts and the most luxurious designer brands which fit a premium department store. The Bijenkorf offers excellent, in conformity with the market, primary benefits which are complemented with a comprehensive package of secondary benefits. So we offer our employees among others a discount card which gives you an attractive discount on purchases within the Bijenkorf. In addition, we pay attention to a variety development and career opportunities for young talent, subject experts and prospective managers.